Visit Main Street for trick-or-treats from 12 – 4pm, merchants with candy will be marked with a fall display by their door. Manayunk’s very own Friends of Pretzel Park! 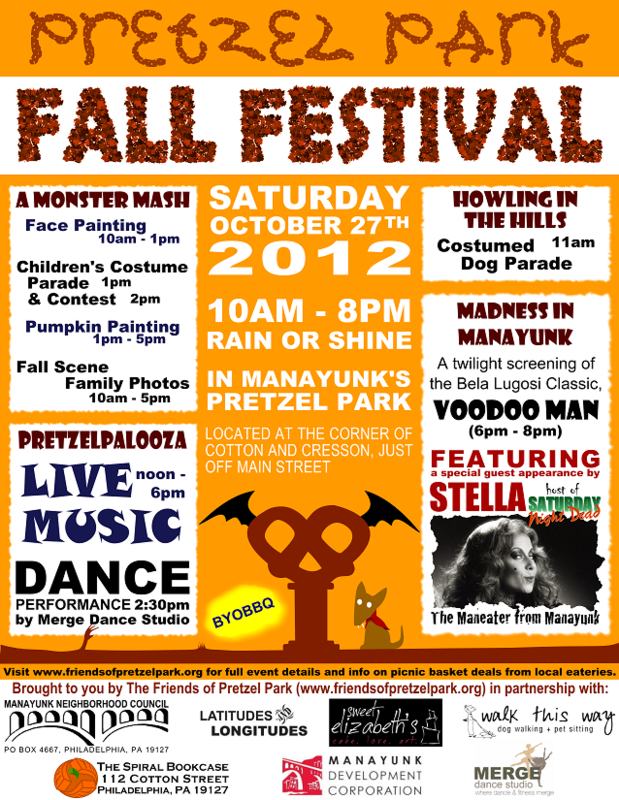 The Friends of Pretzel Park will have an information booth with raffle prizes, Halloween treats, and more! Orbit Art Gallery has 30 years of history in Philadelphia, and has been a driving force for arts and culture on Manayunk’s Main Street. The Manayunk-Roxborough Food Co-op Initiative is working to provide our neighborhood with high-quality, affordable, locally-grown foods from honest and dependable sources. The Manayunk Roxborough Art Center (MRAC) is a non-profit educational institution which offers a full complement of creative educational services to residents of the Manayunk-Roxborough community as well as the greater Philadelphia area. The Friends of Pretzel Park organization is grateful for the extensive support provided by Main Street businesses and the Manayunk Development Corporation. Their contributions truly exemplify the spirit and strength of the Manayunk community. 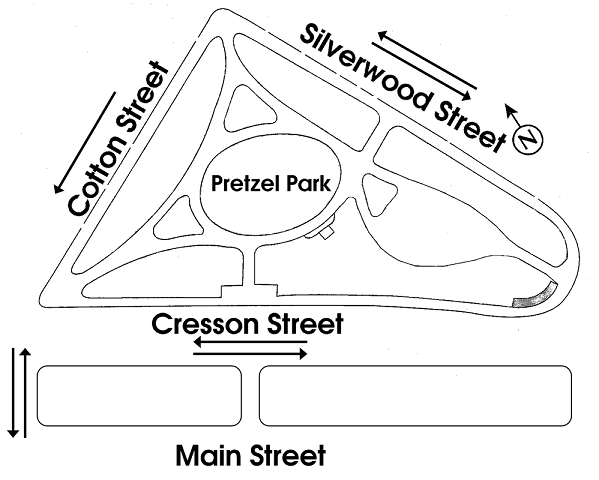 Philadelphia’s Pretzel Park is located at the corner of Cotton and Cresson Street in Manayunk, just off of Main Street.